Something that FIBA Europe did for each game during the Eurobasket was to assign a “top performer” from each team. I thought it would be interesting to take a look at these players and see if I could spot any trends in how they were determined. Almost three quarters of the players who were designated as “top performers” by FIBA Europe led their team in Win Score, whereas only about two thirds led their team in points scored, and even fewer “top performers” led their team in Estimated Wins Produced. For interest’s sake, I also took a quick look at rebounding to get a better feel for the other categories. As you can see, rebounding is not nearly as important in determining the “top performer” as the other three statistics. What does it mean? It means that people are starting to realize that there’s more to productivity than just scoring. If FIBA Europe valued scoring more than overall productivity, “top performers” would have led their team in points more often than in Win Score. But the opposite is the case. Here we see the more complicated breakdown. One third of all “top performers” led their team in Win Score, Estimated Wins, and points. About one quarter of “top performers” led their team in Win Score and Estimated Wins, but not points. Fourteen percent of “top performers” led their teams in points, but not Win Score or Estimated Wins. Thirteen percent led their teams in Win Score and points; six percent led their team in none of the three categories, as well as both Estimated Wins and points; four percent led their teams in only Win Score; and not a single “top performer” led his team solely in Estimated Wins. Why is Win Score a better indicator of a “top performer” than Estimated Wins? 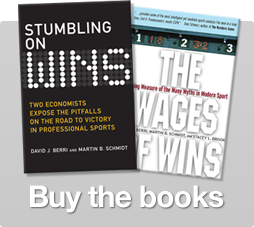 To make a long story short: Win Score is a more obvious outcome than Estimated Wins. Estimated Wins are calculated on a game-by-game basis, using the average Position Adjusted Win Score per minute (PAWSmin). In some cases, this means that players with high Win Scores see their Estimated Wins suffer, because their counterpart opponents also played well. Similarly, in some cases players with lower Win Scores end up with higher Estimated Wins because their counterpart opponents played poorly. This makes total sense, by the way – in a game where every point guard is going nuts, the most productive point guard really has to outdo everyone to make a difference. In the same vein, in a game where every point guard is playing poorly, it doesn’t take much to be considered a very productive point guard. So again we must ask the question: why, if FIBA Europe is generally more impressed by Win Score over points, did they award Juan Carlos Navarro the MVP over Pau Gasol? For starters, FIBA isn’t perfect. 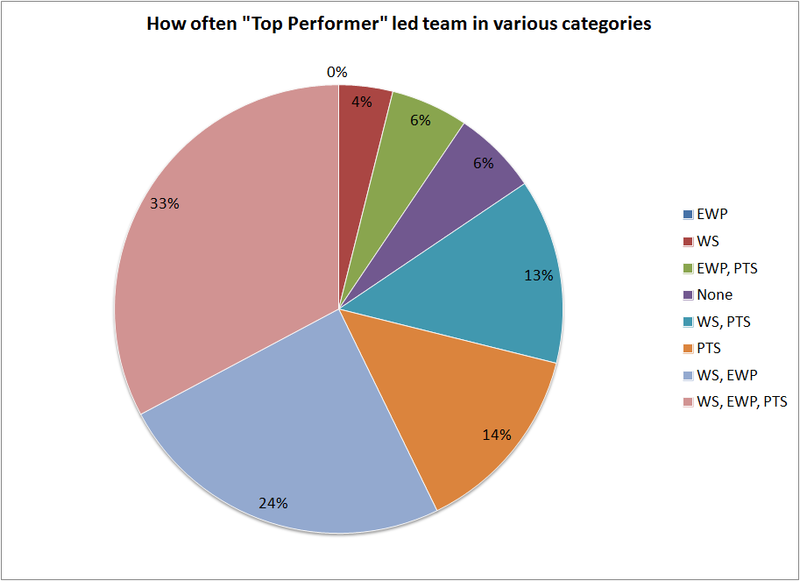 For example, about six percent of the “top performers” didn’t lead their teams in Win Score, Estimated Wins, or points. Second of all, the player with the highest Win Score still failed to be awarded the “top performer” honour one out of every four times. 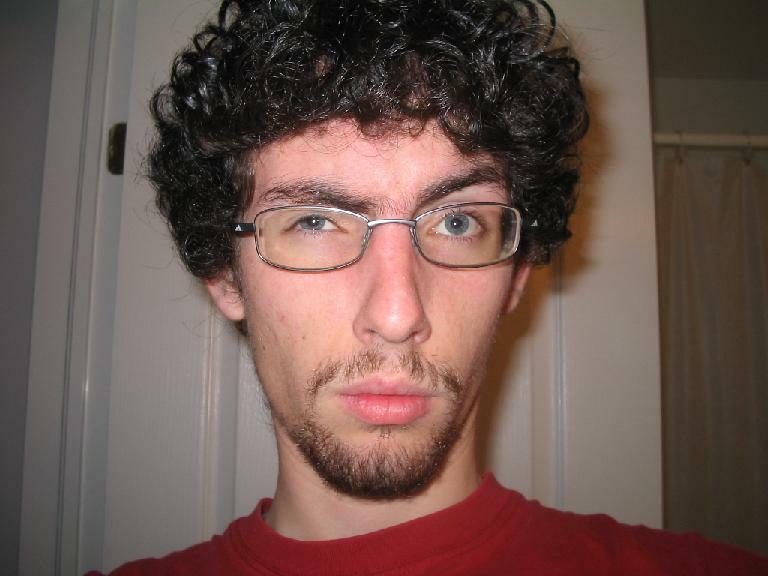 Even still…I’m not going to let this one go: Pau Gasol was robbed. 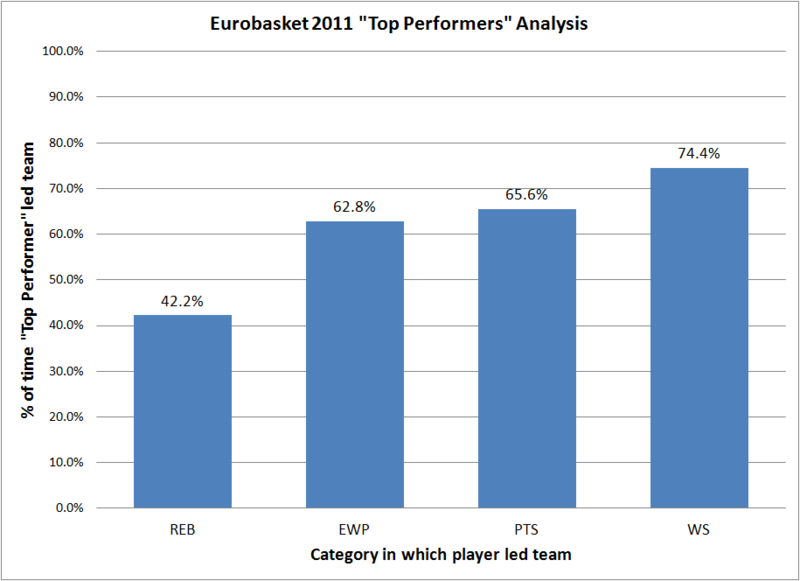 One Response to "The “Top Performers” of Eurobasket 2011"